Harry E. Yokim Sr., 76, of Georgetown (Greene Twp. ), died Sunday morning, September 24, 2017, at Good Samaritan Hospice, Beaver. Born July 22, 1941, in Carnegie, he was a son of the late Pete and Florence (Cope) Yokim. Harry had worked as a millwright and welder in the steel industry and was a veteran of the U.S. Army. In addition to his parents, He was preceded in death by a son, Jeffrey Lee Yokim; a brother, Thomas Yokim, and a sister, Anna Arkins. Surviving are his companion, Susan Conn of Georgetown; a son and his fiancée, Harry E. Yokim Jr. and Mary Lou Stillwagon of Tionesta, and stepdaughters, Amy and Shawn Lane of McDonald and Heather and Tim Athanas of McDonald. He was the brother of Pete Yokim of Dubois, Bob Yokim of Slippery Rock, Mike Yokim of McDonald and Patty Nice of Carnegie. He was the grandfather of 18. Cremation will take place and interment with honors will be held at a later date in the National Cemetery of the Alleghenies. 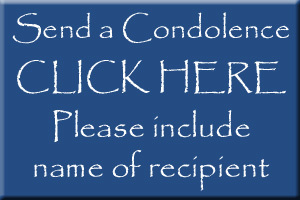 Professional arrangements provided by the MCCONNELL FUNERAL HOME, 447 Pine St., Hookstown, PA 15050.